In 2013, provisionally the third weekend of May Alt.Fiction will once again bring the proud purveyors and fans of genre fiction to Leicester. Under the supervision of Writing East Midlands the 2013 event will be run by Fox Spirit’s Adele Wearing and the omnipresent (at last years) Alasdair Stuart of Pseudopod and also ALL THE THINGS in geekdom. Having helped out so much on the weekend last year Al is now fully in place as co-cheese. However if you really can’t wait for next year, or you’ve never done alt.fiction and want to test whether it’s for you before shelling out on tickets, we are having a small taster session as part of Leicester’s ‘Everybody’s Reading’ festival. The event is on Saturday 6th October from 12:30 – 4pm at Leicester Central Library on Bishop Street. Nearest car park is probably the Newarke Street multi story and Bishop Street runs down one side of Town Hall Square so if you are new to Leicester it’s not too hard to find. The event will feature a panel with Kim Lakin-Smith, Joseph D’Lacey, Nicola Valentine and Damien Seaman talking about publishing, their various experiences and taking questions. If there is time we may also discuss favourite and important titles in genre fiction, kicking off at 12:45 until 1:45. The authors have been invited to bring books to sell and sign so some time will be allowed for that, Damien’s novel ‘The Killing of Emma Gross’ is an ebook, so if you are a fan he can always sign your kindle. This event is totally free and will be a really good friendly opportunity to get a feel for the sort of things that happen at our main weekender so do come along and bring your friends. There will even be free baked goods (a fine altfiction tradition is the baking table). 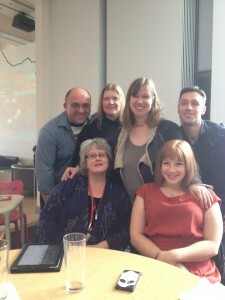 This was team Hagelrat at alt.fiction 2012 in March. The Pirate Flash Fiction contest is now closed. We hope you all had a fabulous International Talk Like a Pirate Day and thanks to everyone who entered. The winners will be announced on Wednesday next week to give us time to read the entries and make a decision. 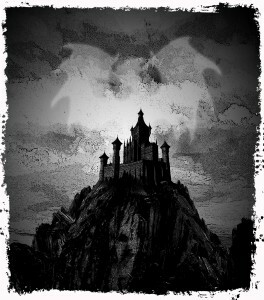 The three stories we select will be posted on the website and the authors will, once they arrive with me, receive ltd edition copies of Tales of the Nun & Dragon. They will also be invited to submit for one of the next Bushy Tales anthologies. 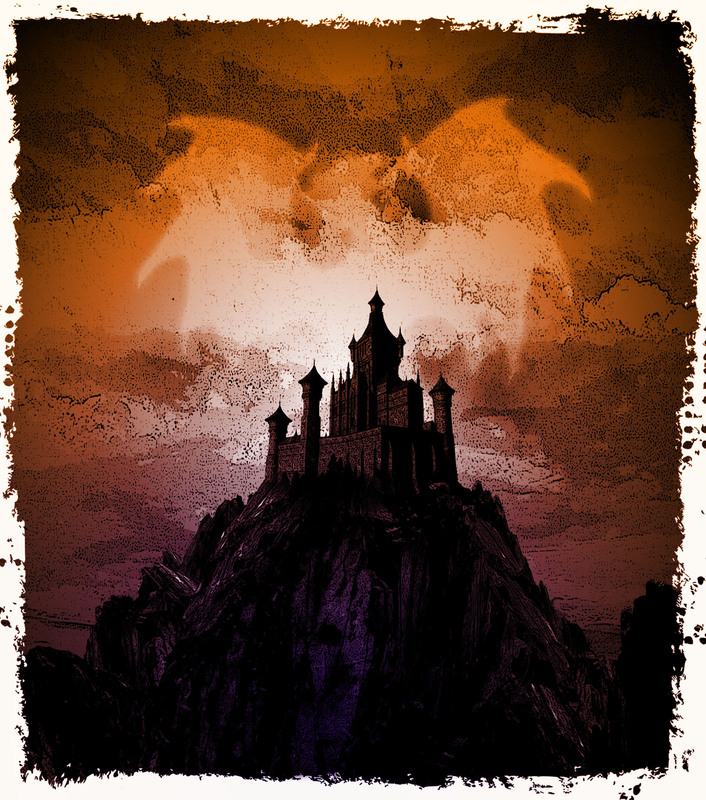 All our books, the horror novel Shadows, zombie novella Oasis, thriller Requiem in E Sharp and the anthology Tales of the Nun & Dragon are all available on all flavours of Amazon and Wizards Tower Press. Just a reminder that our pirate flash fiction contest ends on the 19th September. The best three will be posted on the website, receive a lts edition hard copy of Tales of the Nun & Dragon and be invited to submit for one of next years Bushy Tails anthologies. Any genre you like for pirates. An important note, Wizards Tower stock all FS books as mobi and epub, so if you have an ereader that isn’t kindle you can still obtain the books. 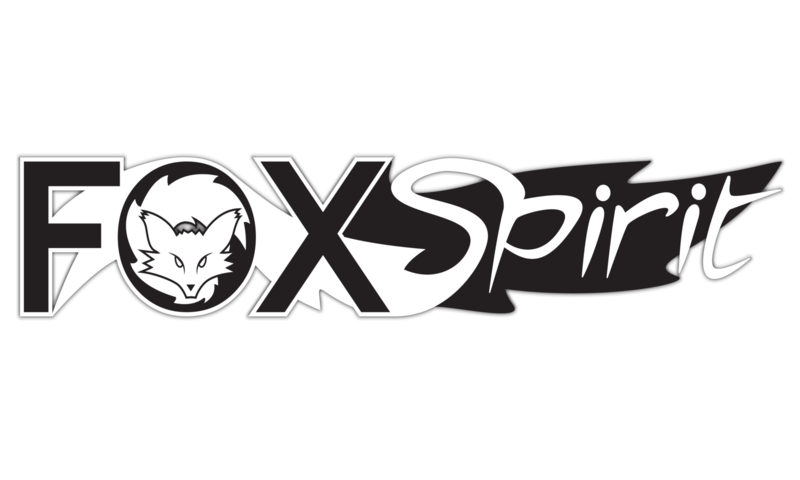 To keep up to date with Fox Spirit sign up for our quarterly newsletter. 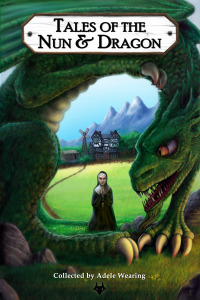 I am delighted to announce that the long anticipated first volume in the ‘Bushy Tales’ anthology series ‘Tales of the Nun and Dragon’ will be available as an ebook via Amazon from Monday 10th September and Wizards Tower Press within a few days. 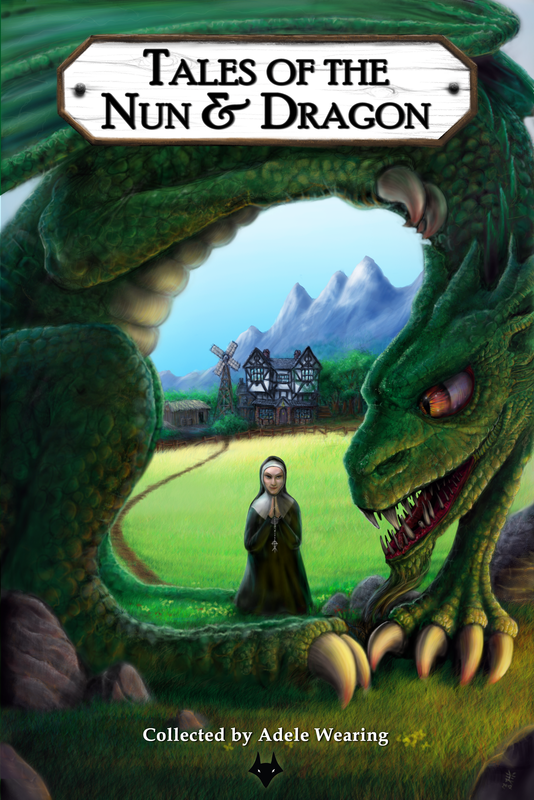 ‘Tales of the Nun & Dragon’ features twenty three stories by a mixture of well-known and new authors who offer up a delightful blend of genres. There are zombie dragons, latex nuns, trips through time, nunsploitation and some unusual fantasy tales and fables. The book also features internal illustrations by artist Kieran Walsh. There will be a very limited edition print run available later this year, prior to all the Fox Spirit books being made available as print on demand from Lulu. To celebrate the launch of ‘Tales of the Nun & Dragon’ and in honour of International Talk Like a Pirate Day we are running a small contest. Between now and the 19th September 2012 we will be taking open submissions of flash fiction (up to 1000 words) on any interpretation of the subject of pirates and piracy. 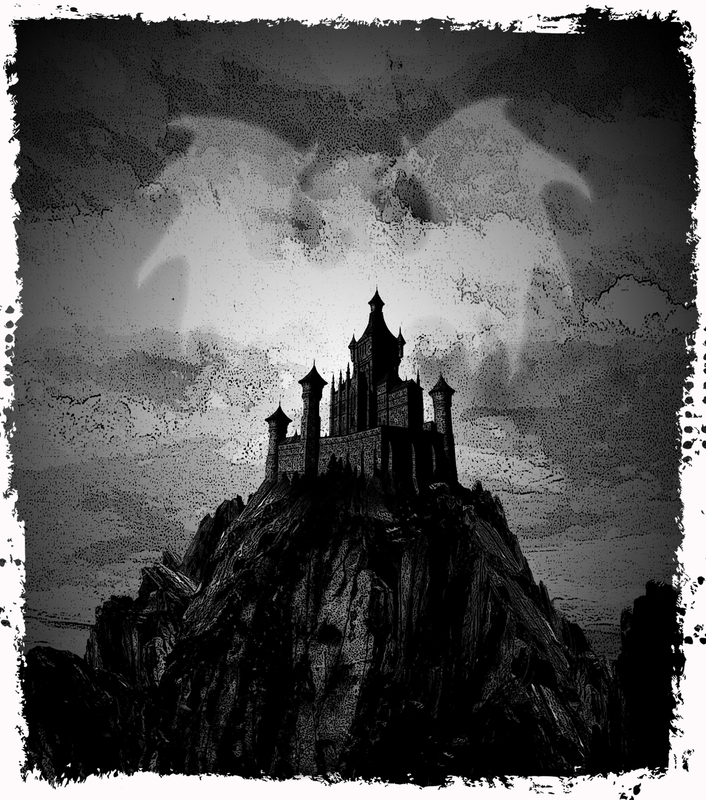 The three best stories will be posted on the Fox Spirit website and their authors will receive a hard copy of Tales of the Nun & Dragon once it becomes available. 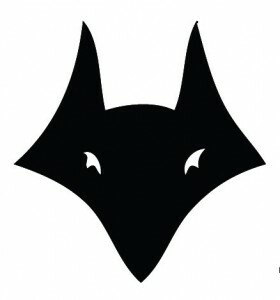 They will also be invited to submit for a place in one of the two Bushy Tales anthologies planned for early 2013, ‘Tales of the Fox and Fae’ and ‘Tales of the Mouse and Minotaur’. Competition entries must be sent as a pdf or word doc, to adele@foxspirit.co.uk and titled ‘Pirate Flash’. Any entries over the 1,000 word limit will not be considered. The ‘Bushy Tales’ anthologies are invitation only and produced on a profit share basis. 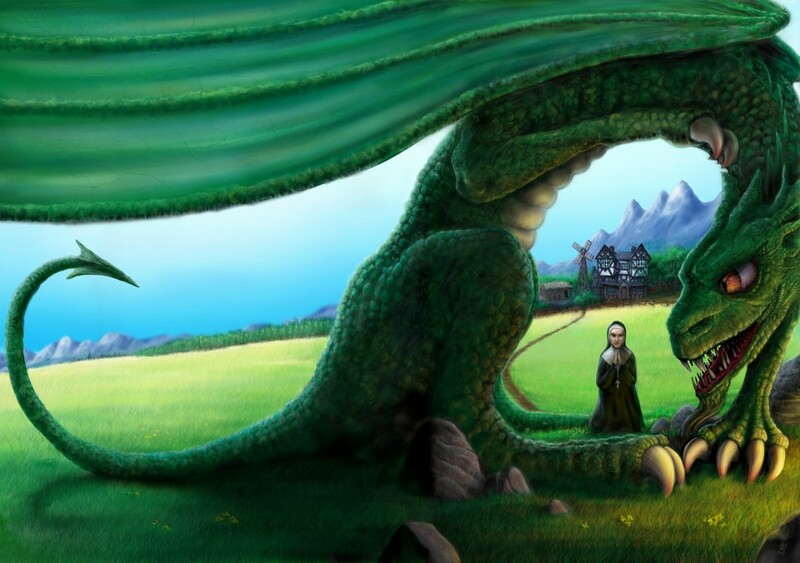 For more information on ‘Tales of the Nun and Dragon’ or any of our other published and upcoming titles please explore our site. Submissions for the anthology come to me steadily: sometimes slipped under darkened doors, wiggling up through drains and occasionally, I find them lying on the cheap hotel room dresser after someone slipped me a mickey and left me stranded. In the past week I’ve been staggering from one continent to another, suffering from a throat infection and blood poisoning (yeah, it’s all weird all the time for me; I don’t just edit the stories, I live the life). I’m currently holed up in bucolic upstate New York and getting ready to dive into the submissions pool. I can only guess what dark shudders await me. Here’s the skinny: in the next two weeks, I’ll make my decisions on what makes the cut. Then there’ll be some tinkering with the tales. When I’ve slapped it all together, I’ll send it to the Fox Spirits who will work their magic on it, producing a shiny book while I’m out hectoring ne’er-do-well bigwigs for shiny blurbs. 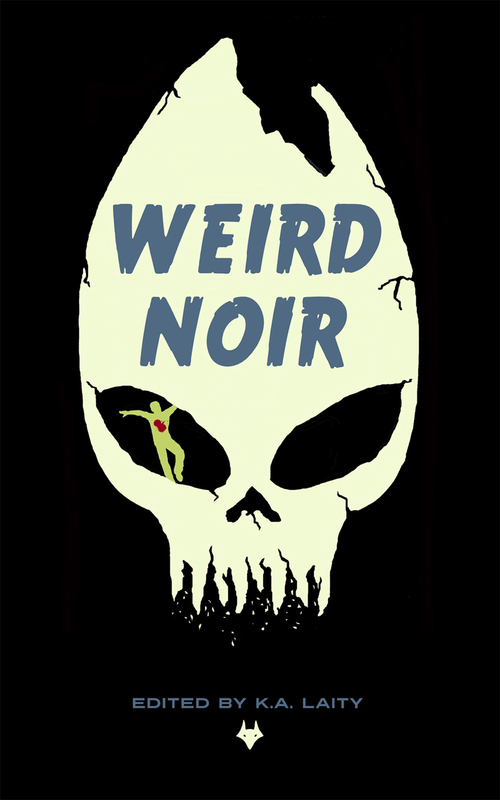 In time for the Halloween season and for Noir Con (www.noircon.info) in Philly, the book will hit the virtual streets, casting its irresistible weird spell before you all. You won’t even see it coming when it hits you. But you’ll like it, all right. No doubt about that. I can feel it in my tentacles. only 80p for four devilishly good new stories! Deals happen at the crossroads. And in our latest chapbook, the Devil’s never been busier. Christian Fox adds his haunting touch to the familiar town of Hamelin in “Prignitz was an Innocent”. Jenni Hill’s “Georgia” introduces Lili, a demonness looking for the deal of a lifetime. Rob Sharp’s “(0,0)” looks to solve the unsolvable problem. And Ian Whates – twice-a finalist for the BSFA’s best short story prize – gives us “The Golds”, a tale of hope and surprise. Four wild new stories from original voices. Out now for the Kindle. Introduced by Anne C. Perry with a stunning cover by Vincent Sammy. If that’s not enough, find more in Lost Souls (US / UK) – our new anthology of forgotten fiction, featuring stories from Robert Chambers, Mary Coleridge, Benjamin Disraeli, Arthur Conan Doyle, Mary Wilkins Freeman and many, many more (including a brand new tale from Apocalypse’s David Bryher). Nun & Dragon is nearly here. We are still aiming for a 31st August release however because everything has to be perfect we may not be live with the ebook until Monday 3rd September 2012. It’s looking good though and just to whet your appetite here is another of the illustrations, there are five internal illustrations in total by Keiran Walsh and they will all be in black and white in the book. Sarah Cawkwell, Mhairi Simpson, Adrian Tchaikovsky, Jasper Bark, Mark E West, Joan De La Haye, Simon Bestwick, Colin F Barnes, Andrew Reid, Ren Warom, Pat Kelleher, Cat Connor, Peter Ray Allison, S.J.Caunt, Wayne Simmons, Geraldine Clark Hellery, V.C.Linde, Catherine Rogers, Jay Faulkner, Sammy HK Smith, Francesca Terminiello, K.A.Laity, Karen Davies. Some of them you already know well, some of them I expect you will be hearing a lot more from soon. I can’t wait to unleash it on the world. 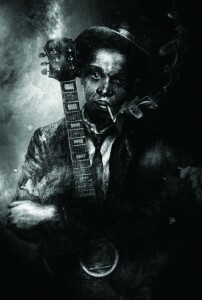 There will be a limited edition print run to follow. First of all Karen Davies whose story The Last Hunt will be appearing in the book was interviewed over on ‘Tony’s Thoughts‘ about her novel The Red Knight and other stuff. 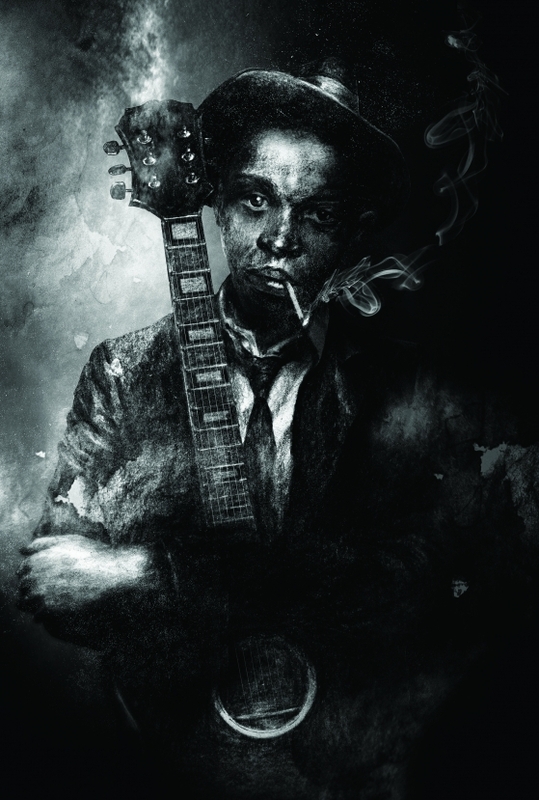 Also, because at FS we are just too good to you, we had a little teaser done for the anthology, in song form. Sarah Cawkwell’s submission ‘The Ballad of Gilrain’ includes parts of a ballad, which is now complete and has been recorded by the talented Adam Broadhurst (Under a Banner). You can listen to the track right here or on our ‘Bushy Tales’ page where it will remain. Their website is www.underabanner.co.uk and shows their gig dates and other useful information. (And even better would he be were he not prone to lateness). He’d killed such things as unicorns (and saw a minotaur). A dragon he would slay to be his bestiary’s cream. In search of dragons he could kill and how the rain did pour! And Gilrain’s patience wore quite fine… it did! D’you think I’m joking? Therin, he began to pray… although he was no sinner. He stuck his sword right through it’s eye – the sight it was quite scary! Imagine then his horror when the gods of thunder roared! And Gilrain’s monster dragon rose again! A horrid sight! Can you imagine such a thing? 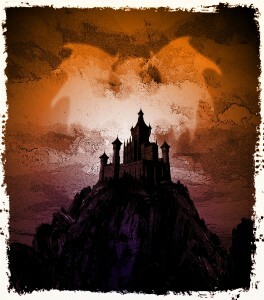 A slaughtered dragon rising? Gilrain and Therin stood there for it was quite mesmerising. Our heroes turned their backs and from the dragon… ran away. And told their story to the people there whilst they were guest…ed. And so they hired me to write this ballad (which I’ve told). A song of courage, dragons, knights and… other things as well. A hero for our times in all the things that he will do.